The sun is setting at 4000 feet elevation. It is at this hour of transformation, when the sky reddens and blesses every object with a warm parting glance and the lights of Black Rock City buzz to life, when you notice the Coliseum arches shimmering in the last rays of light. A warm glow shines down the eight edges of its octagonal shape, and from the interior, as if from a real stadium, there emits a hazy halo of light hovering above its open roof. On your initial approach, the structure suggests a venue of intense competition, judgment, fear, defeat, and triumph. As you venture around the structure, you discover the eighth wall missing. 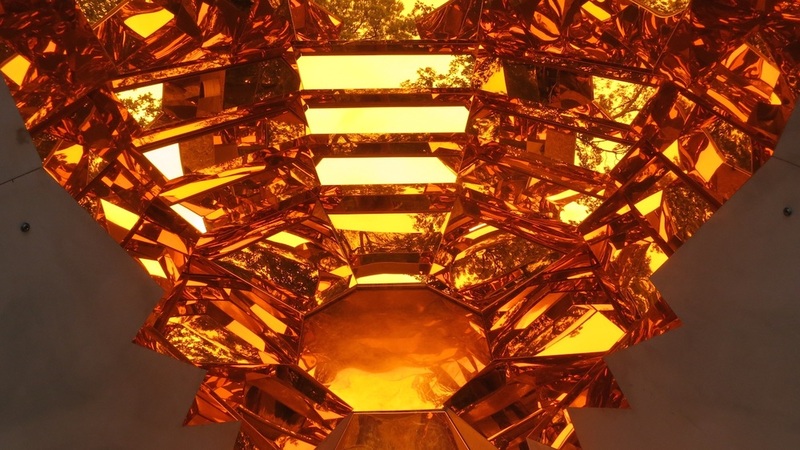 In its place, an elevated pathway of gold slices through to the structure’s center and reveals an intimate chamber constructed of a dizzying vortex of luminous gold mirror. Seventy stadium steps encircle you with reflected light. The interior of this Coliseum holds only one individual participant in its center, and when you look into the stands for approval or judgment you are faced with an audience of one, simultaneously multiplied seventy times. It is only ourselves that we judge or accept. The seventy panels of Olympic gold are angled to reflect us back to ourselves, our own ego. In this Stadium of the Self it is only ourselves that we answer to. As the sun melts away, we stand alone in the glow of the chamber, looking up past the edges, into the night sky; we see not judgment, but the potential of ourselves. Creating interactive environmental sculpture has become my own personal challenge and obsession. After creating Observer/Observed for last year’s festival, I found that there is something incredibly satisfying in creating art as experience: it is creating art as a gift to others. It is art that physically connects. It is inviting, provocative, intimate and generous, and above all, it is art that must be lived to be experienced! This year’s theme, Psyche, is especially intriguing to me. I’ve always been fascinated with the world of our inner selves, and how that world, once ignited and inspired, manifests itself in the outer world. As I have said before, the challenge of Burning Man, and the challenge within all of us, is to embody the vast potential that exists within ourselves if we dare let it out. 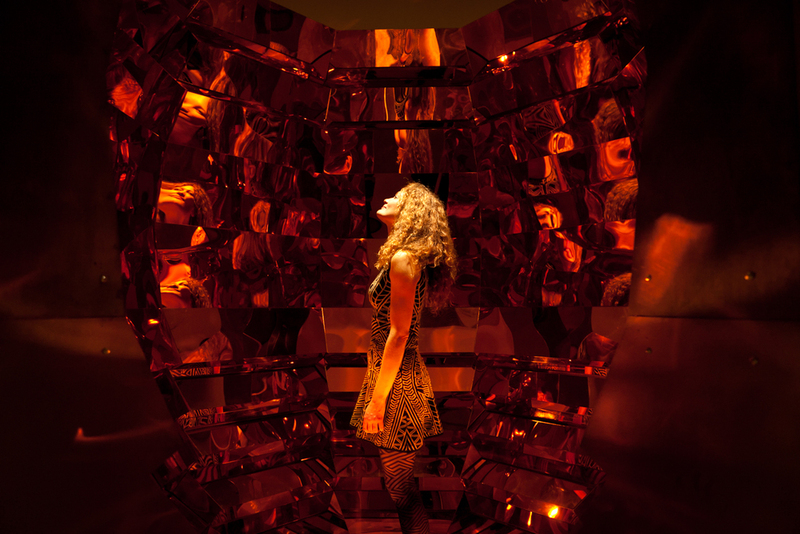 As Psyche as my guide, I chose the “Ego” and its hunger for approval as my inspiration, and so decided to create an installation that looked inward, towards ourselves, by fashioning a large structure, but with only room inside for oneself and one’s self-reflection.